Five “fog sculptures” by artist Fujiko Nakaya will grace the string of Boston parks known as the Emerald Necklace this summer. Above: a rendering of the installation at Franklin Park. The Emerald Necklace, Boston’s 7-mile pendant of parks built in the 19th century, will soon have a new adornment: a string of artworks made from water vapor. This summer, artist Fujiko Nakaya will debut “fog sculptures” at five sites along the Necklace. The immersive sculptures — wafting clouds of machine-made mist — will be viewable from dawn to dusk between Aug. 11 and Oct. 31. 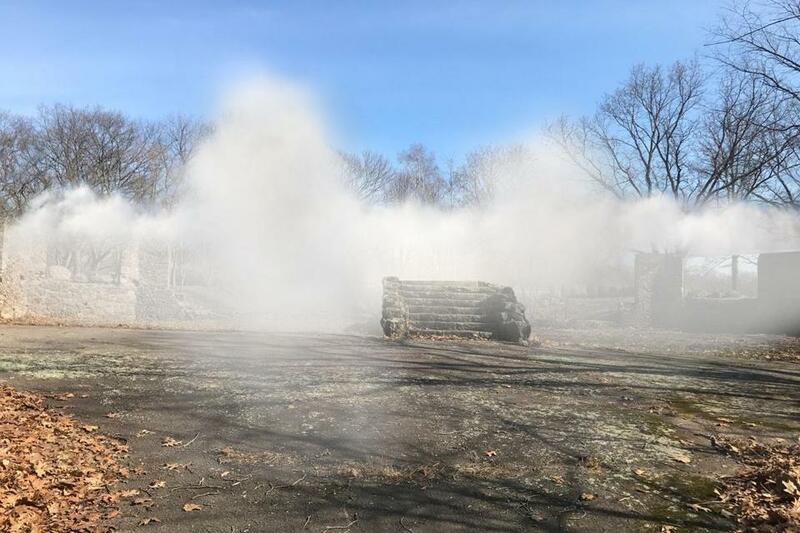 The exhibition, titled “Fog x FLO: Fujiko Nakaya on the Emerald Necklace,” is designed to celebrate the 20th anniversary of the Emerald Necklace Conservancy. Using water as an artistic medium was fitting for the Conservancy, an organization “birthed through water,” according to Karen Mauney-Brodek, Conservancy president. Mauney-Brodek explained that the nonprofit formed after floods in 1996 and 1998, when the overflowing of the Muddy River, which snakes along sections of the Necklace, caused $90 million in damages. The destruction galvanized efforts to preserve and protect the parks. The exhibition is the work of an artist who has made fog her calling card. 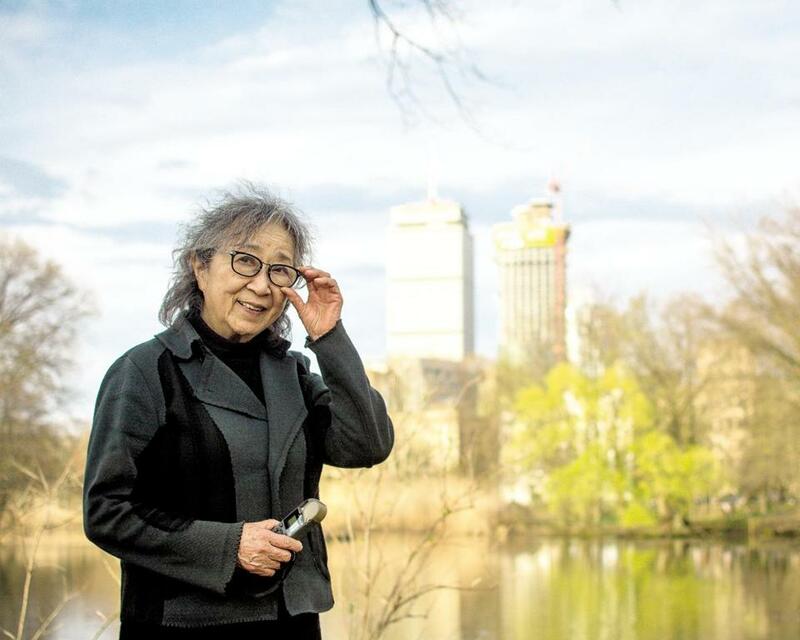 Nakaya, born in Japan in 1933, calls fog “the most generous of mediums.” Since 1969 she has built more than 80 fog sculptures across four continents, transforming open spaces into dreamlike landscapes with custom-designed installations. Her first Boston presentation will also be her first simultaneous display of multiple works. To create her sculptures, which emit fog in controlled intervals, Nakaya uses a patented system of pumps, pressurized hoses, and ultrafine nozzles. Computer software receives weather data and alters fog flow to suit wind speeds, dew point, temperature, and humidity. Nakaya uses a system of pumps, pressurized hoses, and ultrafine nozzles to create her fog sculptures. Organizers say that the installations will be free, family-friendly, and immersive. Nakaya’s sculptures will release pure, air-temperature water vapor, with no chemicals, so the fog can be touched and inhaled. Mergel estimated that the installations will require 16 gallons of water per minute and could attract as many as 1 million visitors during their 12-week stint. The sculptures will be displayed along a tree-lined path in the Fens, within Olmsted Park, at Jamaica Pond, rolling down a hill in Harvard’s Arnold Arboretum, and inside Franklin Park. Nakaya picked the sites herself, visiting Boston three times for research. The smallest piece, on an islet in Leverett Pond, will use 260 nozzles, according to Mergel. 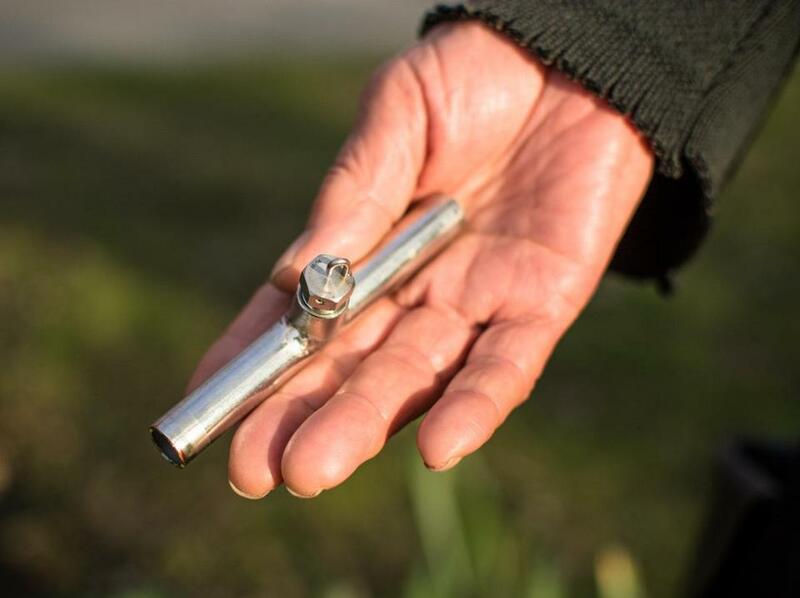 The largest, in Franklin Park, will have 900 nozzles and three water pumps. To engage the public, the Conservancy will accept proposals for on-site performances by local artists who want to make the most of the mist. Mergel said she hopes that a diverse range of talents — musicians, dancers, painters, and actors — will interact creatively with the fog. Proposals will be accepted on the Emerald Necklace Conservancy website. Conservancy organizers hope that the installation will encourage travel between parks. A walking tour of the five sculptures would take less than 2½ hours. To improve inter-park navigation, new signage and a mobile application will be unveiled in August with Nakaya’s sculptures, Mauney-Brodek said. One of the nozzles Nakaya employs in her artworks. An earlier version misstated the number of water pumps in the Franklin Park piece.